리우데자네이루 시내에 위치한 Windsor Guanabara Hotel은 산토스 두몽 공항에서 가까우며, 도시의 다른 지역까지 편리하게 이동하실 수 있습니다. 옥상 테라스에서 구아나바라 만과 다양한 역사 기념물의 멋진 전망을 감상해 보십시오. 이 4성급 호텔의 수영장, 피트니스 짐이나 사우나에서 여가 시간을 보내거나 수영장 바에서 좋아하는 음료도 즐기실 수 있습니다. 세련된 레스토랑은 뷔페와 일품요리를 선보입니다. 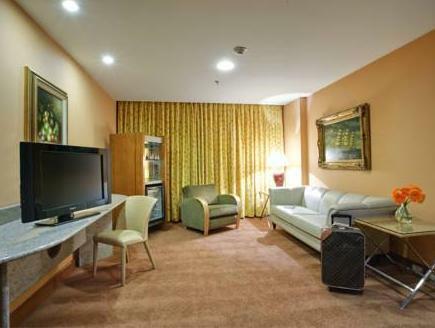 It is a better business hotel in the CBD area as compared to others and walking distance to the convention sites. Beds are comfortable, breakfast was great and a not too bad gym for working out. Wi-Fi is provided in the room. Busy area during the weekdays and nearby to tram stops and many eateries around. Although is a 4 star hotel, bring own toiletries as it does not provide. Only the shampoo and conditioner was provided. Weekends sees lesser foot and car traffic and only some shops are opened and most closed in the night. Not ideal to travel alone at night. Easy valet parking, nice clean comfortable room. Quick roomservice and good quality food. Friendly staff. Recommended. Mid in downtown, convenient for business users, Rooftop pool. Staff needs to be trained well, if they wants to claim themselves as 4 star. Nothing special. The rooms was clean but a little bit small. The location was alright. Had to walk a little bit further to get to some shops across the streets. Simple and this hotel will be wonderful for those whom are here for the international cruise as the port is just within 5 - 8 minutes walking distance away from this hotel so you will not need to spend for a cab to reach the port. near the tram, many resterants. No WIFI in the rooms, only in reception. Hotel is located in a very quiet business area, so don't expect to be able to get a drink or food anywhere nearby. Rooms are clean, if a little dated and starting to show their age a little. Gym on the top floor has 6 running machines and one weights machine, but everything looked to be well maintained and it was very clean. Pool is deceptively small vs the picture on the website. Breakfast buffet is nothing special, and is rather heavy on the Brazilian favourites of ham and cheese, although there's also lots of fruit available too. 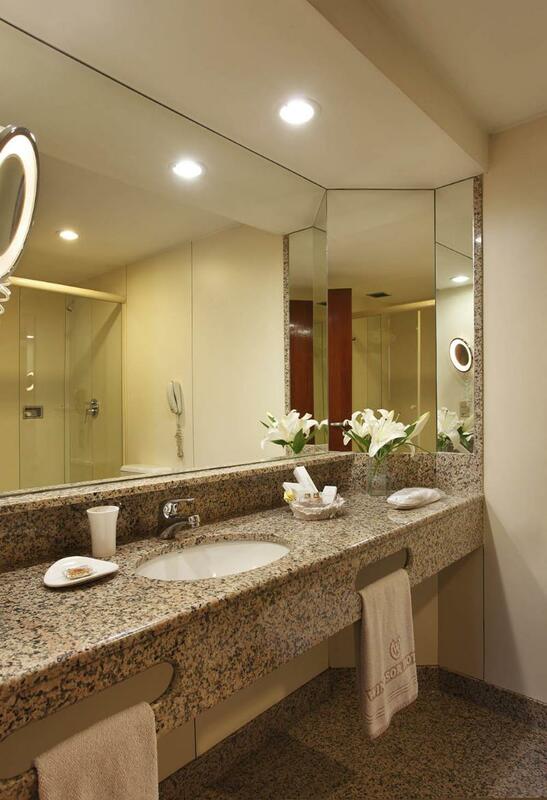 Short walk to the metro from where you can quickly and cheaply travel down to Ipanema or Copacobana beaches. i had stayed at this hotel for just one night. got there with a very different expectation of a 4 star hotel. i got their early hence was prepared to wait. came in the afternoon after taking a city tour. hotel itself is fine as long as you do not enter the room. room furniture, fittings, amenities in the bath room were very sub standard and were below 2 star standard. bed sheets / cover were worn out, furniture was very old and made of ply. bathroom had only soap and shower gel in sub standard wraps. tv was atleast 10-12 years old. room size was very very small. i would strongly recommend potential visitors to look for better options. definitely not worth the money i paid for it. still regret it. Plus points: roof top pool, same day laundry, room safe, language choices on TV, good size rooms. Minus points: No security chain on door and no viewer. No alarm clock. Note: internet is not wifi as claimed, but cable available from reception for in room internet. 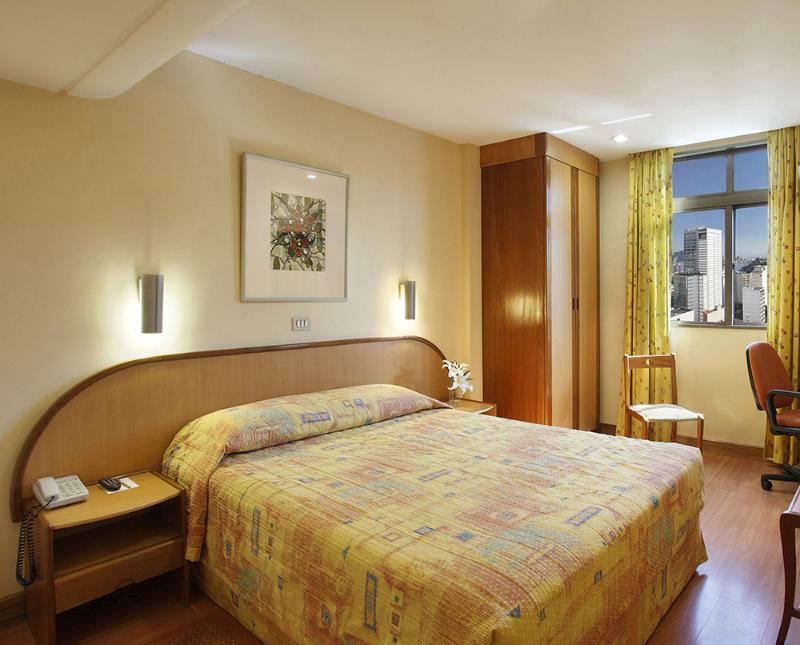 The hotel is well located for the Centro business district and is close to Santos Dumont airport. It is surrounded by hi rise buildings although some rooms do have a limited view across Guanabara Bay. Очень хороший отель в плане соотношения цены и качества. Надо отметить, что РИО - не дешевый город, особенно в дни праздников. Немного в стороне от пляжей, но близко от центра города. Очень дружелюбная атмосфера отеля, отзывчивый персонал. Большие и хорошо оборудованные номера, хорошие завтраки, в отеле есть все для хорошего отдыха после осмотра РИО.